It's Vladdy Jr. time again for the Buffalo Bisons. 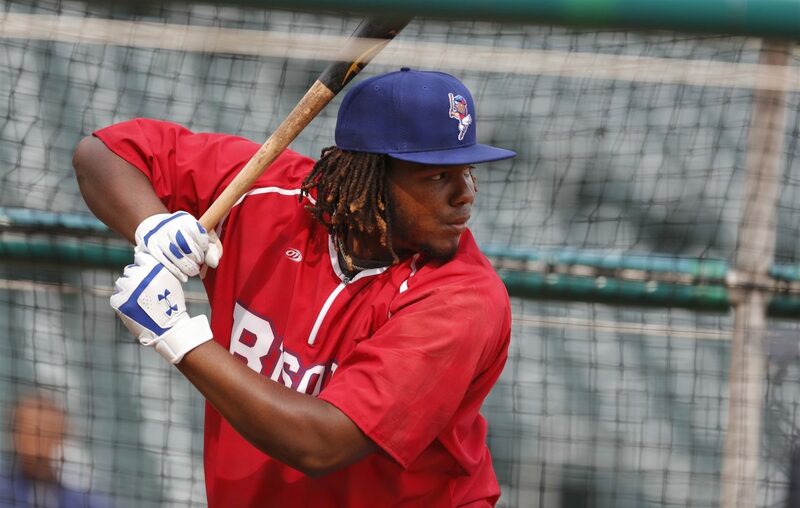 Third baseman Vladimir Guerrero Jr., the top prospect in minor league baseball, is reportedly rejoining the Herd for its road trip that begins Thursday night at Scranton/Wilkes-Barre. Guerrero has been on injury rehab at Class A Dunedin (Fla.), where he has gone 4 for 15 in four games. He is on the mend from an oblique strain suffered March 8 in spring training with the parent Toronto Blue Jays. His promotion was first reported by MLB.com and Sportsnet. The Bisons have opened their season 2-4 and the final game of their homestand Wednesday against Pawtucket was postponed by cold weather in Sahlen Field. The game will be made up as part of a single admission doubleheader April 29. The Bisons do not return home until a two-game series against Scranton/Wilkes-Barre April 19-20. Guerrero, who turned 20 on March 16, was the consensus Minor League Player of the Year last season after batting .381 with 20 homers and 78 RBIs with four Toronto affiliates. He hit .336 with six homers and 16 RBIs in 30 games for the Bisons. Prior to the injury, the Blue Jays planned on stashing him in Buffalo for a spell this season to cut his major-league service time and push his free agency back a year. The injury made that less of an issue and Guerrero is expected to spend a couple of weeks with the Bisons before heading to Toronto for his major-league debut. That time is apparently now.